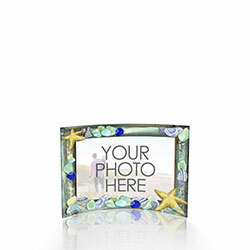 This product requires a photo to be uploaded. 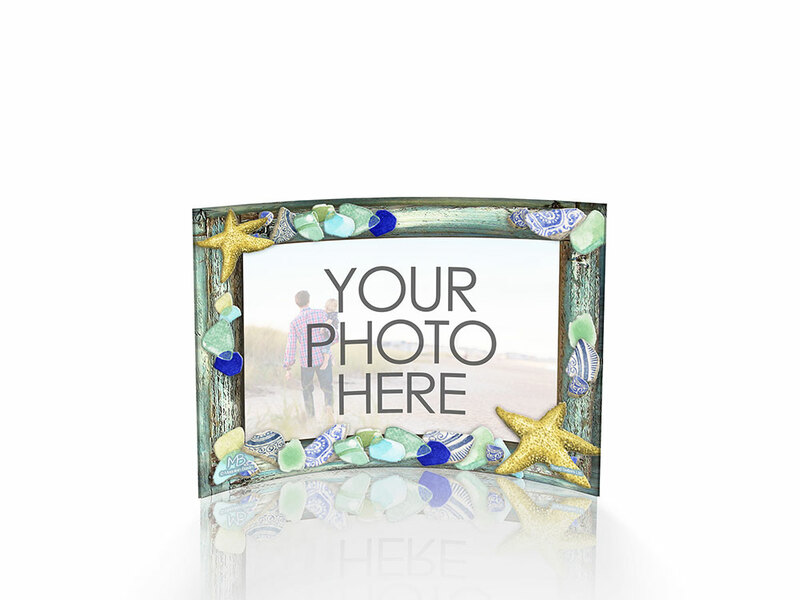 Perfect for your favorite vacation photos, this Curved Acrylic Print brings the work of renowned Dutch artist Marjolein Bastin, famous for her quaint depiction of nature’s hidden moments, to your favorite photos. 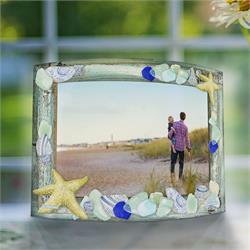 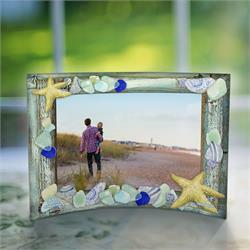 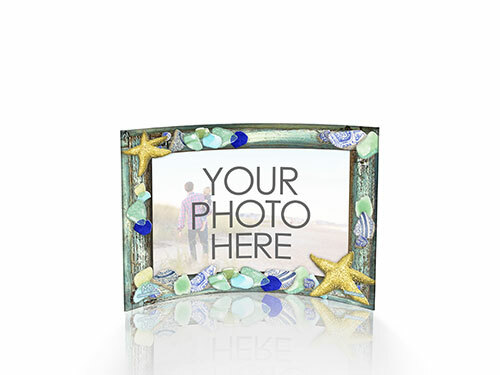 This print features your uploaded photo surrounded by a collage of starfish and sea glass painted by the artist. 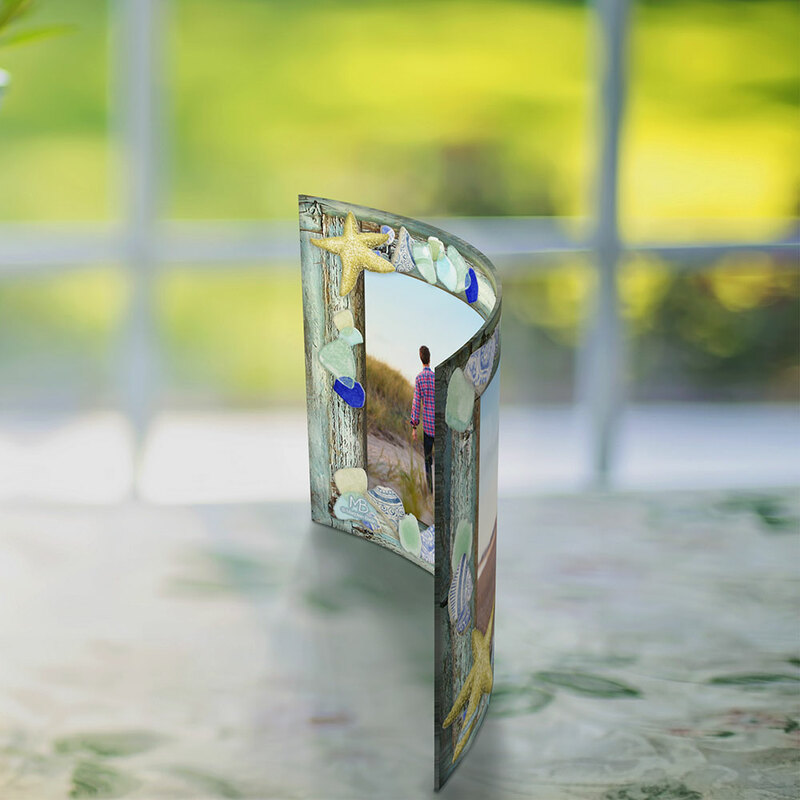 Curved Acrylic Prints are designed using a patent-pending process that results in a translucent product that is durable and lightweight, as well as scratch and fade resistant. We combine that technology with our own, resulting in a photo made entirely of acrylic that showcases pristine color display and is enhanced further by the presence of light.